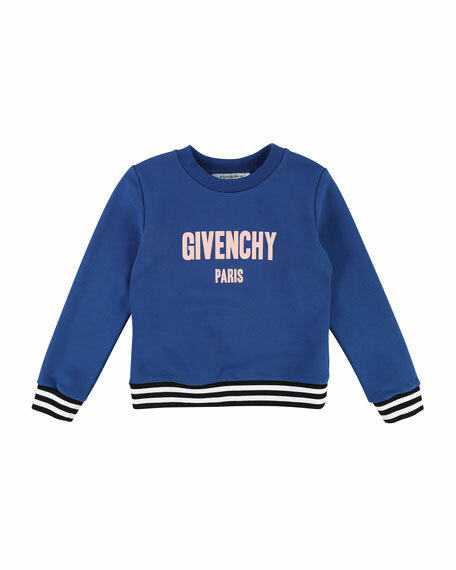 Givenchy sweatshirt with logo text printed at chest. Striped and banded cuffs and hem. For in-store inquiries, use sku #2712837.